When we talk about family business, we are talking about those businesses which move from one person of the family to another or which a couple or few members of the family start together. Family business includes all kind of business from business as big as Wal-Mart to small family shop in any street. The family business creates a working relationship in a family, and this relationship could contain siblings teaming up for business, parent, and child running a business or it could be husband and wife running the show. When you are working with family, do not consider it different from working with the partner because that is how it is going to be. A family business can face many challenges and could be difficult to run at times. To make sure that your family business runs successfully you will have to be a little careful. Here in this article, we will tell you about five tips for running a family business. When it comes to running a family business together, then it is very important for the family member to focus on clear communication. There should be complete transparency of the things, and no one should hide anything from their family which can cause damage to the business. So it is important to schedule family meetings in which you can discuss business properly and in a light tone. A clear communication could be the key to your successful family business. Running a family business requires discipline, and it does not matter how many family members are involved it is important to define roles for everyone. There should be no ambiguity regarding who is leading the business because having conflict in leadership can cause serious problems. Also, make sure that the roles are assigned to every family member, and they are assigned to them according to their skills and talents so they can bring the best out of it. Well, while running a family business sometimes it is seen that not all the family members have a required skill and to overcome that you can hire an employee outside of the family. That employ would not just only help you to fill the job which no one could do, but he or she will also keep your behaviour more professional towards the business. Even, the non-family employees can play a proper and unbiased role in performance review and can also help build the next generation properly by being unbiased towards them. When you are running a family business, it will eventually move on to your coming generation, but it is for you to make them ready for it. To do that you can always make them work part time and make them responsible for their job. But you should also let them pursue their education and let them choose a career because you should not be imposing this on them. Even, let them know about the benefits of family business and make sure to let them work somewhere else to gain extra experience. When you work with a business partner, there will be a lot of times when you will disagree with them, and many times things will get heated up as well. Your family is the most important thing to you, and you need to keep that in mind that another business can be made but not a family. So, always prioritize family relation over business relation. 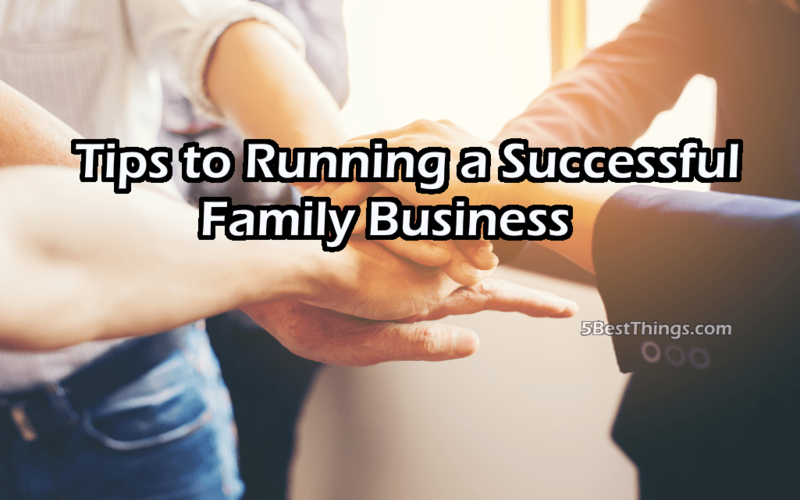 As you can see running a family business can be tricky, but with the help of this article and these easy family business tips, you can manage your family business much better and with more care and discipline.